I've been reviewing Cirsova magazine on this blog longer than any other pulp product so far. There's a reason for that. Since starting in 2016, Cirsova has been known for quality and helping the growing legion of pulp writers have a sandbox to play in. Six issues in and, a whiffed story here and there aside, it has yet to make a mistake. Whereas most magazines these days don't last a year, Cirsova has gone beyond to make itself the best pulp magazine currently running. I don't say that lightly or as an exaggeration. 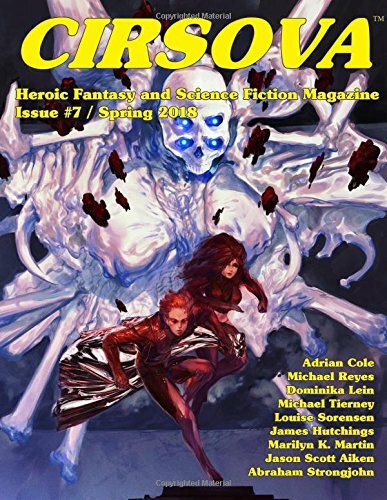 Picking up an issue of Cirsova is like opening Pandora's Box--whatever awaits inside is guaranteed to rock your world. So how about issue #7? I've reviewed the first six so far, and while the last one was one of my favorites I had heard issue #7 was a step down. I do find that hard to believe since the weakest, in my opinion, was the double issue #4 which merely suffered from stuffing in some lesser stales to pad the length. Had it been a normal sized issue it would have been as good as the others. But enough of that. Let's take a look and see just what the problem might be. Dominika Lein's Galactic Gamble starts off the issue with a good dose of the strange. A spacer finds himself stranded on a gambling planet, his friend captive, and his ship taken. Now he must use his (bad) luck to get it all back. I quite enjoyed this story. Lein has a way of making the odd and bizarre seem as normal as cheese on toast, and this one is no different. It isn't the most action packed tale, but it is a whole lot of fun, and that's what I read Cirsova to get. Excellent start. Michael Reyes then returns to Cirsova's pages with The Iynx. This is one of his Clock stories about a Chaos Magician who solves obscure paranormal problems. In this one Clock deals with an ancient relic called The Iynx, and a man who is planning to use it to resurrect his dead fiance. Chaos ensues. Of all the stories I have read by Reyes, I believe this is the strongest one yet. Sharp prose, clear stakes, and a blistering pace make this a top notch read. The third story is The Legend of Blade by Jason Scott Aiken. This is a post-apocalyptic fantasy action story of a group of kids raised to survive in fight in the harsh land. It is quite tight and the pacing is rapid fire. The ending might not have been needed on a narrative level, but it does add a sufficient sense of wonder to the proceedings and the worldbuilding. And that is always a good thing in a pulp tale. Unfortunately, I can't say I was a fan of The Great Culling Emporium by Marilyn K. Martin. A bounty hunter arrives at an emporium to find his prey and talks to an old flame. The problem is that there isn't any tension or much in the way of stakes. Jobard enters the emporium and there is a long and well detailed description of the place. He then talks to his lost love. He then easily finds and captures his bounty without much struggle. The old girlfriend shows up and picks him up in his craft. Then it ends. I was not much engaged by this one. Louise Sorensen's The Toads of Machu Hampacchu is the shortest normal story in the issue, and it shows it with how little actually occurs. This is about a guide that leads a bunch of people into what appears to be an ambush of lovecraftian creatures. It's a solid story, but doesn't stand out. But then we come to the centerpiece of the issue, a new Dream Lords story by Adrian Cole, In the Land of Hungry Shadows. Witchfinder Voruum and his apprentice, Kaspel, go on a quest into the titular dark land where monsters roam and a city that lies which holds a deadly surprise. This is the longest story in the issue, and definitely one of the best in it. Mr. Cole hits it out of the park again. Honestly, this should have been the final story in the issue as its impact is kind of diluted by the two lighter pieces that followed. Criteria for Joining the Galactic Community by Michael Tierney and Anna and the Thing by Abraham Strongjohn are short nuggets of stories that barely fill two pages apiece. The first is about a president who gets a visit from aliens and the second is about a kidnapping gone wrong. I quite enjoy these two writers, and these stories made for good filler, but they're not to their usual level. If I had to choose a favorite of the two it would be the one by Tierney. We are then treated with another fantastic installment of the John Carter poem by James Hutchings which leads into an actual letter from a reader. He is not much of a fan of issue 6 (unlike me) and uses the space to complain about the quality of several stories (including one I liked a good deal) which is not really gone into in much detail other than vague complaints. It's a nice break to see an actual letter, but it's a bit of a sour note to end the issue on. So, yes, I do see why some see this as the weakest issue of Cirsova so far. I don't think this one was particularly well paced by putting two of the strongest stories at the front and then two of the shortest at the back, and the letter might have been better at the front since it does bring the mood down. But all in all, it's still solid. Not the strongest issue, but considering Cirsova's quality level that's not much in the way of a complaint. This is still strong pulp material. I'm also creating entertainment of my own! 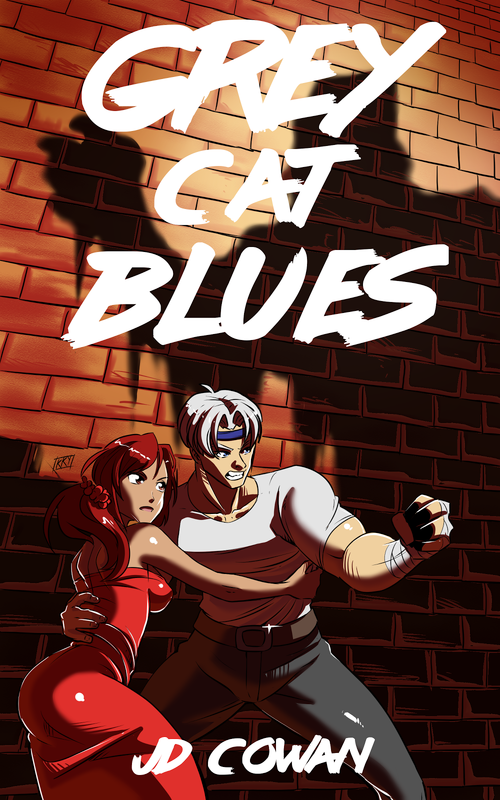 Check out my novel, Grey Cat Blues, if you haven't. Action, adventure, and romance, on a distant planet at the edge of the universe. What more could you ask for? Today, publisher Silver Empire has announced a brand new project. The press release is below, but let's just say it has quite the potential. Apologies for the bad pasting job. 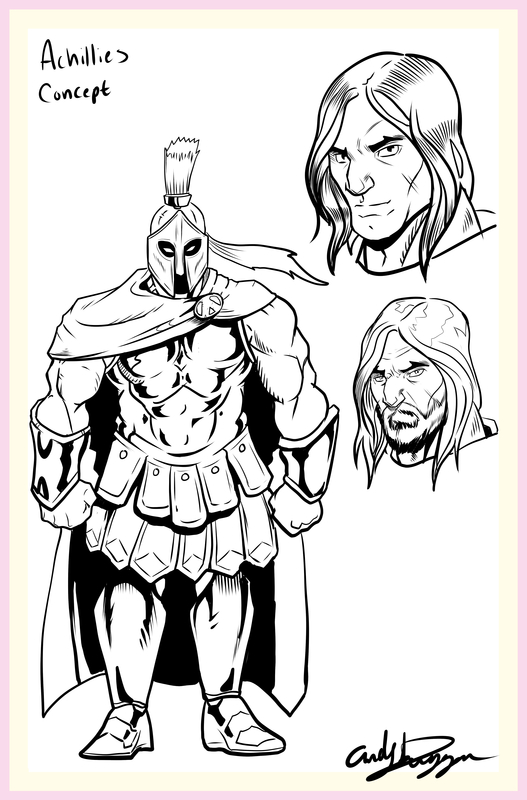 SILVER EMPIRE ANNOUNCES "HEROES UNLEASHED"
Suffice to say, this is a very ambitious project and quite a cool idea, so if you like superheroes (or heroes at all) you should definitely check into this when the kickstarter launches or the first book comes out this fall. Until then you can sign up for the Silver Empire newsletter or check out the Heroes Unleashed website for more updates. You're not going to want to miss this one. There are certain works that are difficult to review. A. Merritt's work is, to me, the toughest to write my thoughts down about. I have read several of his works but have avoided writing a review just because of how hard it was to sum up what I had experienced. Burn Witch Burn! was one of the best thrillers I had ever read with some fantastic horror, science fiction, and fantasy, blending in to the proceedings with mobsters and witches to spare. Then there was Creep, Shadow!, a story of romance and myths come together over a murderous monster that kills from said shadows and one of my favorite ancient legends on top of it. But the most inexplicable of all might be Merritt's first long work, and arguably the most influential, The Moon Pool. Running in All-Story Weekly in 1918, a full 100 years ago, The Moon Pool quickly became so intensely popular that a sequel was immediately written (Conquest of the Moon Pool, which is now bundled with the original as one long work) due to demand. There are aspects of this story that Lovecraft would take influence from as well as legendarily off-kilter writer and thinker Richard Shaver. 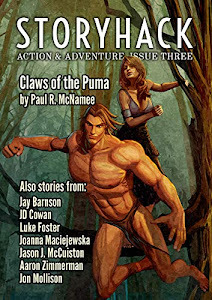 But it was also the story that started Merritt's trajectory as a master of action adventure fiction without any regards to any genre boundaries that were constructed later, influencing everyone from Robert Bloch to Michael Moorcock, to Gary Gygax. And there is a reason his influence spread so far. Simply put: anything can happen in an Abraham Merritt story, and frequently does. This is why he was thought of as the master of fantasy. But what about the story itself? Surely a 100 year old story must have some curve-balls to have lasted so long as an influence and such highly regarded figures. It starts with a mystery. Dr. Walter Goodwin, a man of science, joins his friend, Dr. David Throckmartin on a trip after the latter's family disappeared by mysterious circumstances. What Throckmartin had yet to reveal to Goodwin is the horrifying truth of what had happened: and what this mysterious object called the Moon Pool has to do with it. It turns out that there are both wondrous and horrifying things hiding just below the surface of this world. Goodwin begins to question his materialistic view of the universe, as everything unravels around him. What follows is a story of lost worlds, hidden societies, Lovecraft -style beings, incredible monsters, battles and sieges, myths and legends, and both false and true romance. In just 300 pages, The Moon Pool runs through several satisfying character arcs, breathtaking and unbelievable sights, and plenty of action and adventure to go around. Dr. Goodwin's journey is one fraught with peril and terror, but an unmistakable sense of wonder pervades despite this and drags both him, and the reader, ever onward to discover the truth. I can easily say that this reader was hooked until the last page. Of course, Merritt's work was immensely popular all the way through the 1940s, and his legacy was well deserved. Reading The Moon Pool one can see all that would come from those like Lovecraft, Howard, Anderson, Kline, Moore, Vance, Brackett, Kuttner, Williamson, or Norton, seeded here in these pages. But Merritt is a bit different in that his influence is more obviously those like Burroughs, Haggard, or Doyle, and the older romance tradition which filters everything he does to make it shine brighter than it would in the hands of a more modern or nihilistic writer. There is a clear sense of morality and sense of good in these pages. 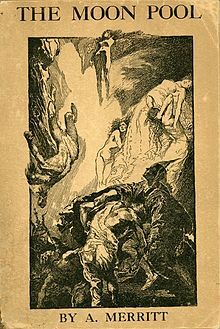 If there was one author that epitomizes the spirit of the pulp age that has been lost over the century since the publication of this story, it would be Abraham Merritt. Of course one could complain about the cliches like the lost world, super science, tough and moral men, living myths, and a good and evil dichotomy theme, but then they would be confusing the creation of such tropes with aping them. Those that tend to create such repeatable aspects of fiction are usually a cut above the imitators, and Merritt is no different. And while one could complain about the cliches, these are cliches no one has used seriously in at least half a century. Simply by being the best and surpassing the subversive writers that lived to tarnish his creations, Merritt remains a fresh and invigorating read while the "important" works have all been binned, including by the subversives themselves. There is nothing currently being published that is anything like Abraham Merritt, and there hasn't been in a very long time. This might be an aspect lost on older readers who have grown up in an age where the classic pulp works were easily available, and allowed them to easily read through them as children or teenagers. Newer generations have not been exposed to much of any of what Merritt helped pioneer and usher in, never mind his own work. Reading something like The Moon Pool is like a refreshing drink of spring water in the desert of modern literature. There's nothing being made like it now, and there hasn't been in a long time. In fact, the cliches and tropes that replaced Merritt's have been hammered in for most younger readers' lives to the point where they've never even seen true romance in a book before. They live in a much different world than those who let someone like Merritt fall into obscurity instead of keeping him in print. To them, this is new and alien. And on the 100th anniversary of a story, I think that is the best endorsement I can give. For those in the mood for a true pulp revolution, The Moon Pool is essential. It's available in the public domain, so you can read it online for free. A lot is being said about My Hero Academia these days as one of the best anime and manga series out of Japan. This isn't wrong, MHA has strong art and writing with plenty of heroic themes to get the blood pumping. It succeeds both as a shonen series and a comic book story, and has given the industry more positive press than any series in years. Naturally, it's success is earned. But there is a little known fact that Weekly Shonen Jump, My Hero Academia's magazine, is actually in a bit of a high point itself. Known for running classics like Dragon Ball, Fist of the North Star, Kimagure Orange Road, JoJo's Bizarre Adventure, Slam Dunk, Rurouni Kenshin, Death Note, One Piece, and Yu Yu Hakusho, it has recently been home to a string of soon to be big hits that are nothing to sneeze at. You might not yet have heard of The Promised Neverland, Dr. Stone, or Hinomaru Zumou, but you will when said series finally get anime adaptions within the next year. Current hits from the magazine include Food Wars, Black Clover, Haikyu!, and the aforementioned My Hero Academia leading the charge overseas. Old favorites like One Piece and Gintama are still running, as well. Needless to say, Shonen Jump isn't doing half bad, and its hits still rule the roost. But there is one series I do want to talk about that has flown just under the radar. It is due for an anime within the next year, but it took a while for it to get to that point. This series had an uphill battle and has grown tremendously over the last two years. Demon Slayer: Kimetsu no Yaiba is a series that went by almost unnoticed by most readers and the overseas audience, but is one that has proven itself to be one of the strongest currently running in the most popular magazine in Japan. And now it's finally out here in an official release. It didn't happen overnight. Demon Slayer: Kimetsu no Yaiba started two years ago at the start of 2016 and was initially written off as a series that wouldn't make it 10 chapters because it was too antiquated. It is now currently at over 100 chapters and was recently announced would have an anime from the Fate/Stay Night studio, Ufotable. It is a success. And as someone who read that first chapter when it came out, I have to say that it's success should have been no surprise. It just needed a chance to catch on. There are certain series that get push from editorial when they begin, mostly because they believe they will be hits if the readers just give it enough of a chance. The recent Dr. Stone was one of these, and it ended up taking off in popularitydue to the editors giving it focus, and the team behind it putting in the work. 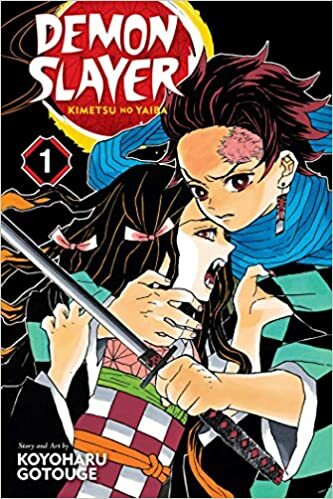 Demon Slayer: Kimetsu no Yaiba was not one of these series. It was decently popular and its volume sales started off rather low, but it held on due to reader interest remaining and growing steadily with every serialized chapter. It did not get many color pages (a sign that a series is doing well is when editorial gives it cover images or center color pages) until it was running for over a year and it was rarely placed anywhere except the middle of the magazine. Needless to say, this is a series that clawed its way up and earned its rising popularity and the anime soon to release. The audience made it a success on their own. So what is this whole thing about? What type of series could it be that did not connect with Shonen Jump readers off the bat? It isn't anything too out there. Demon Slayer: Kimetsu no Yaiba is a fantasy horror action adventure series about the battle between humans and demons. That might seem straightforward, but there's a bit more going under the hood than hunters killing monsters. Though the action is really something else. In the Taisho Era of Japan, there lived a family in the mountains. A mother, and her six children, lived alone far from the village. They were poor, but happy, living as best they could to get by. One day the oldest son, Tanjiro, headed down the mountain to sell some charcoal, but ended up staying too late in the village and slept overnight to beat the cold. When he returned home the next morning, tragedy struck . . .
His family had all been murdered, and his sister had been turned into a demon. And now she's trying to kill him. To be completely honest, the first chapter of the series is at least on par with the first chapter of My Hero Academia in terms of both how much is crammed in and how in how hard the themes hit for those paying attention. It isn't just mindless violence. 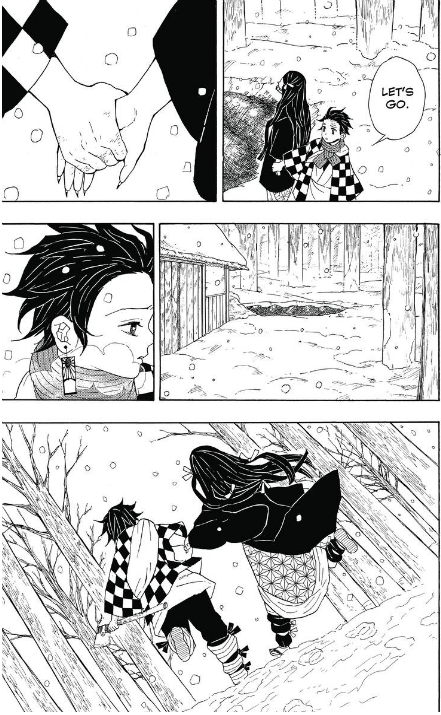 Tanjiro returns to find his family killed, except for his oldest sister, Nezuko. It's late and cold, but still he rushes down the mountain to save his only remaining relative. Soon she awakens . . . and tries to kill him! She's been turned into a monster, a demon. And once a human becomes a demon, they can never return to normal. He learns this from a demon hunter who arrives in time to save his life from his own sister. That's when the confrontation begins that hooked me onto this series. But it doesn't quite end there. While most series would just use his family as a tool to describe how pointless and cruel life can be and introduce grisly horror after horror, Tanjiro risks his life against both his sister and the demon hunter to save her life. 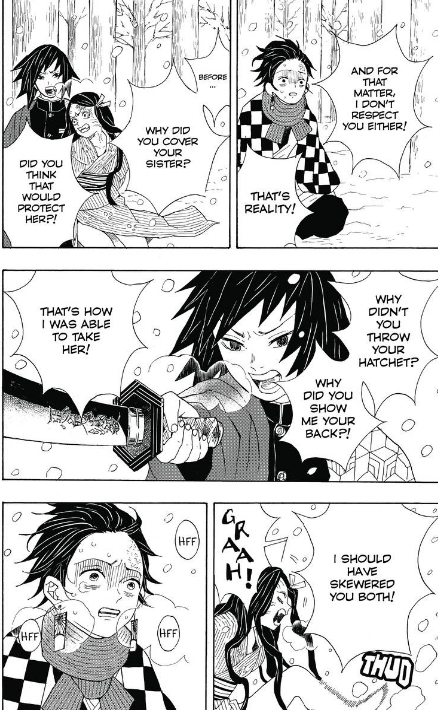 The bond between the siblings is stronger than they both thought, and Nezuko struggles hard to save her brother even with overwhelming bloodlust consuming her and warping her mind. 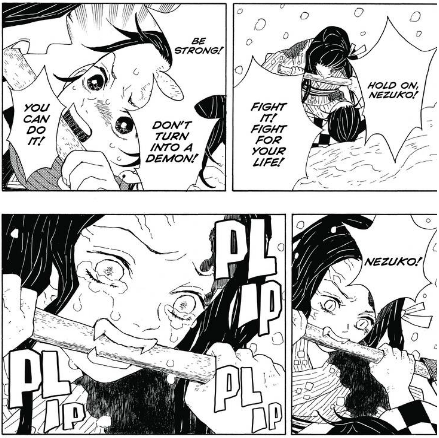 The hunter, Tomioka, a practical man, is impressed by both their willpower and their connection and, instead of killing Nezuko, gives Tanjiro a quest to find a man who might be able to help him learn how to save her. It's never been done before, but Tomioka thinks if anyone can figure it out, it would be these two. Tanjiro sets off with his sister to find a way to save what little family the two have left. The themes of family bonds and hope in the face of despair absolutely coat this manga. And the action is very visceral and as intense as the themes. What's more as that despite this is a very bloody and violent series covered in death, it never wallows in hopelessness or despair. Tanjiro's quest is a hard one with no end of troubles, but he doesn't give up, no matter how the evil of the demons might try to crush him. And he definitely has a lot of harsh lessons to learn. Another plus this series has is the art. I've been told it's very much an acquired taste, but it's exactly perfect for me. Koyoharu Gotouge draws in a very early '80s inspired action style with a touch of more modern expressions to give the series a very unique look. There are no other series with quite this style of art. It improves as it goes, but the first chapter absolutely nails the core look and feel. The series has a very old school aesthetic. If there is a complaint with the first volume it is that the series doesn't quite reach the heights of the first chapter again within its pages. The rest of the chapters are good, but it is clear that it suffers from the fact that Shonen Jump is known for cutting its unsuccessful series so early, as the early chapters are a bit rushed. There is no telling before about the 10th chapter of any series for the author to know if it is a success or not and if it will live. Throw in that Demon Slayer was not huge off the bat and the series just wasn't sure if it would last. It takes Gotouge a little while to hit her stride, but by volume 3, the series is off to the races. She finds her confidence and cuts loose. Until then you can see her art and plotting improve leaps and bounds in a very quick fashion. Not bad considering this is her first ever series. Soon enough Demon Slayer: Kimetsu no Yaiba ended up becoming one of the strongest series currently running in Jump. And this first volume is where it all started. Now it can hopefully get more of the audience it needs. My only regret was that Viz didn't pick it up sooner, but they were also probably unsure of its potential success. But its quality is no fluke. It's no wonder they licensed it after two years straight of readers requesting it, as even before it received its anime announcement, it was regularly ranking in the top of the magazine. If you are looking for another top notch shonen series to read or watch alongside My Hero Academia then this one is for you. What starts off as a tragedy soon turns into a quest to turn it all around and find that little sliver of hope in the darkness. Plenty of action and adventure awaits you in this fun series. 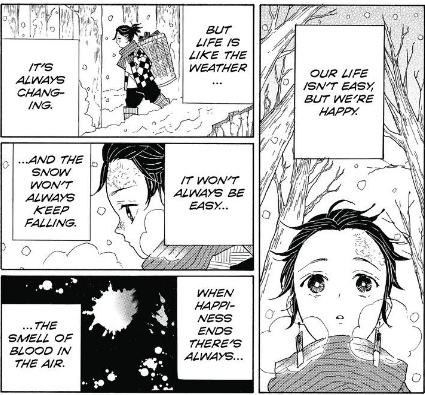 Demon Slayer: Kimetsu no Yaiba is one of the best manga series currently running, and it is good to see it finally getting the focus it deserves. Now is the best time to check it out. Mega Man is not an unknown franchise. The player plays as the titular character, jumping and shooting through stages. He defeats eight bosses, absorbing their abilities to use for himself, and then faces the evil Dr. Wily at the end of his cavernous fortress. The franchise just recently celebrated its 30th anniversary. But there is still one game in the series I want to talk about. This is quickly becoming the most overlooked title in the franchise. I'm talking about Mega Man 9. This might be the strangest game I've written about so far. Mega Man is a highly influential franchise and is a gaming icon, so why would I choose to highlight a game here in one of these posts? I normally talk about excellent games that fell through the cracks. Surely everyone knows about this series. Well, what brought this on was more of a pet peeve. I'm seeing revisionist history lifting its head and spitting on what is one of the best games in the franchise. This has happened ever since the Mega Man Legacy Collection was released (and its sequel) which packaged the original 10 main Mega Man games spread across the years in one easy to play compilation. The original 6 NES games remain quite good (2 and 3 are still by far the best), The SNES Mega Man 7 has finally gotten more of the respect it originally deserved, and Mega Man 8 is still regarded as one of the lesser entries despite its 32-bit graphics being the most advanced. Proof that purty graphics and advanced sound mean nothing is the design is weak. But 9 has recently been talked down more and more on for its aesthetic, its difficulty, and the face that it didn't "progress" the series forward. This despite the fact that it is possibly the best game in the classic series. Those dogging this game are completely missing context. Playing all 10 games back to back will not give you an idea as to why Mega Man 9 was so important, and a revelation. In fact, it might be the most important entry since 2 broke the series worldwide. Let me explain why that is, by using historical context. When console gaming shifted to the 32-bit generation, a regrettable thing happened. 2D gaming was slowly being thought of as inferior and cheap, going from AAA status to eventually completely vanishing (outside of a small handful) in the massively overrated PS2 generation that followed. Many franchises suffered from this obsession with purty (now horrendously dated) 3D graphics and some like Sony Computer Entertainment of America, would even refuse to release 2D games at all. For anyone who grew up... at ANY console era before the current one? They knew how silly this all was. Whole genres and legendary franchises were thrown away for flash in the pan newness that has dated worse than anything they replaced. And all those franchises created at the time are almost all buried and forgotten now. So, it was a bad time to be a legacy gamer. But the industry did their damage to their own brands. Series like Contra, Sonic the Hedgehog, Castlevania, Streets of Rage, Double Dragon, Turrican, Street Fighter, and Ghouls n Ghosts, were all but destroyed or left to the bargain bin, and the Mega Man series was no different. It suffered for sins it never committed. Capcom released Mega Man 8 in 1997 for the PlayStation (and Saturn, in Japan) a few years after Mega Man 7 had graced the SNES and the Mega Man X sub-series had taken off on the same system. Mega Man 8, however, was not a success. It featured colorful 2D sprites, CD quality audio, animated cutscenes, and was released on the series 10th anniversary. It was also not very good. The levels were barren, the difficulty was non-existent, the power ups were weak, the new voice acting was atrocious, and because it was 2D that was even more damaging. Also, the soundtrack was weak, and for a series like Mega Man, such a thing is unacceptable. The game is not horrible, but it would have hardly mattered if it was the best game in the series. 2D was derided mercilessly in those days by the ever-trustworthy gaming press and abandoned by auteur creators who decided to jump on the 3D-only bandwagon. It was a perfect storm that was unleashed against this title. Because of Mega Man 8's failure and the industry change of being obsessed with purty 3D graphics over solid gameplay, the series wouldn't see a new mainline entry for a decade. 2D gaming suffered for it. In this time, Mega Man as a franchise continued, but it became bloated. 8 was a good indicator as to how that happened. The quick and rock hard shooting action was overwhelmed with bells and whistles and gloss to hide the deteriorating level design, over-designed controls, and uncreative boss and level ideas. The newer sub-series (relegated to "inferior" portables, at that) as had the same problems. Most of the later Mega Man X games exemplify this issue. 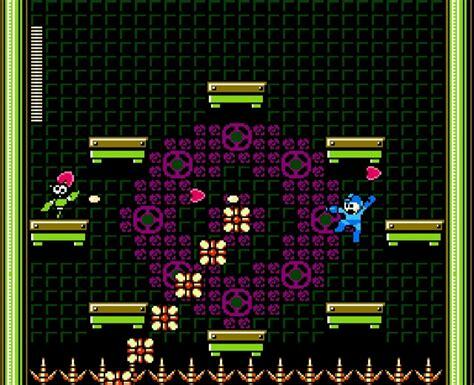 Mega Man had lost its simplicity, and its soul in the process. Ten years passed. Mega Man, and 2D gaming as whole was dying, relegated to handhelds like the Game Boy Advance (and the newly unveiled PSP and its obsession with "console gaming on the go" was threatening even that) with series like Castlevania and Contra holding as hard as they could despite their blatant sabotage by the industry to convince audiences that these games were not worth your money. 2D gaming was one generation away from being forgotten and abandoned. Capcom announced Mega Man 9 in 2008. Not only was it the first console game in the series in over a decade, but it was also back to basics done in the style of the NES games with no frills. It was going to be a full download game, too! This was innovative for the time. 2D games were being treated as full console games again! If you're rolling your eyes now, it's because you weren't there in 2008. Before Mega Man 9, retro aesthetics were not a thing. They didn't exist outside of novelty mods or bonus levels. Downloadable games were also not what they are now and were mostly re-releases of old games like Pac-Man, or simple arcade shooters like Geometry Wars. Indie games had not even dented the mainstream market, and were still small--Braid was still two years away. The closest thing to Mega Man 9 was Bionic Commando: ReArmed which was merely a remake of an NES game with modern HD graphics. This should tell you how much of a big deal this was. Mega Man 9 was a brand new NES game built from the ground up, meant to take the series to its roots before it lost its way, and it was being treated as a serious project. Even the first trailer blew gamers away. There was nothing like this in 2008, and after years of 2D being relegated to the gaming ghetto, this was a revelation. Gamers were hyped like they hadn't been in a long time. But not everyone was in love. Places like IGN scored the graphics a 2 due to not being modern enough. This was obviously long before faux-retro existed as no one knew how to rate graphics not purposefully being made in a different artstyle (and sprites on a console, at that) and was a sticking point for a lot. Others complained about the difficulty, but they were simply out of practice. I can say that as someone who beat it the first day it was released. When it released the reaction was overwhelmingly positive. The reason for this is because Mega Man 9 is an expertly designed game that came out at the exact right time and was so popular it caused a sequel to come out less than two years later . . . but we'll get to that. The point was that even Capcom were surprised at the reaction it received. It was not just another entry in a long-running series. Mega Man 9 saved it, and might have helped save 2D gaming in the process. Those looking at it through the lens of the present are missing what this game actually accomplished. This was before New Super Mario Bros. Wii came out and outsold ever game of its generation. A 2D platformer on a console was unheard of at the time. After all, the industry had done such a bang-up job convincing gamers of their inferiority for two straight generations. This was before retro games were even considered a viable product. Mega Man 9, dogged for its lack of originality by Current Year fans, actually started many trends going on today. And it gets no credit for any of them. The aspect ratio of the original games (in the era of widescreen) was kept the same, the moves were kept to Mega Man 1 and 2 levels of simplicity, and the level design and enemies are all perfectly placed to take advantage of your dodging and shooting skills. It was made for those looking for a classic experience. Mega Man 9 is derided for being a "Mega Man 2.5", but that only tells half the tale for fans obsessed with bells and whistles. Mega Man 9 went back to the series roots in order to remind itself what it was originally all about. Aside from using a handful of musical tracks such as the password theme, Mega Man 9 pared the series down to its bones and thrived on wholly original content. It was jumping, shooting, and action, at its tightest. In many ways it was the first real sequel since Mega Man 3 to actually capture the original spark the series had been brought to life with. In-game achievements (not common at the time) say even more. The game is considered hard, but it can be beaten without getting hit. Sure there are some deaths you might not see coming the first time, but that is a series tradition. You simply learn better for your next try. And there's nothing on the level of the original games' difficulty, which are still beloved to this day. Every level can be beat by running forward and timing your jumps and shots at the right time . . . without you having to stop. Every single boss weapon has multiple uses, can effect just about every stage and the environment, and has different applications depending on the enemy it is used on. This game is perfectly balanced, has a clean aesthetic, and a soundtrack that is one of the greatest of all time. This is how well-designed and tweaked the game is. Every other entry in the series almost looks sloppy compared to it. This is because Mega Man 9 is one of the best games of all time. So why is it getting such a divisive reaction these days? That question can be answered quite easily by looking at what came after. What it built was torn down not two full years after 9's release. Mega Man 10 is why Mega Man 9 gets tarred as a lesser game than it actually is. It makes 9's innovative ideas and freshness look like stale pandering, which it was not at the time. Everything Mega Man 9 did, it's sequel did. 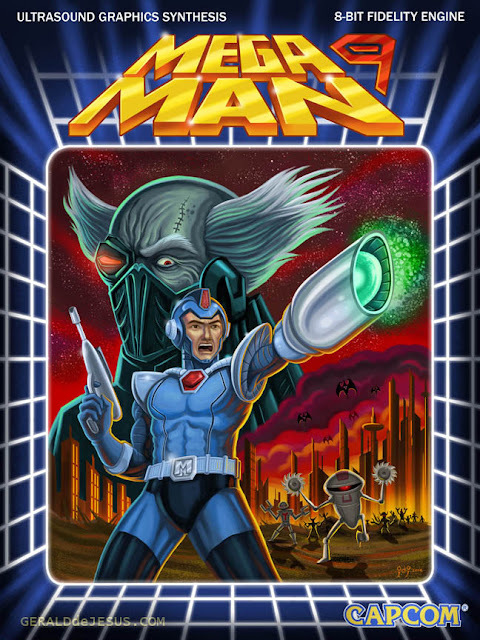 It copied 9's entire media campaign making it look like a cheesy knock-off novelty, and made Mega Man 9 look as if it were merely one in a sea of retro ideas that got lucky. It got a purposely bad box art for promotion, just as 9 did, to take away even that new idea. It used retro graphics, just as 9 did. 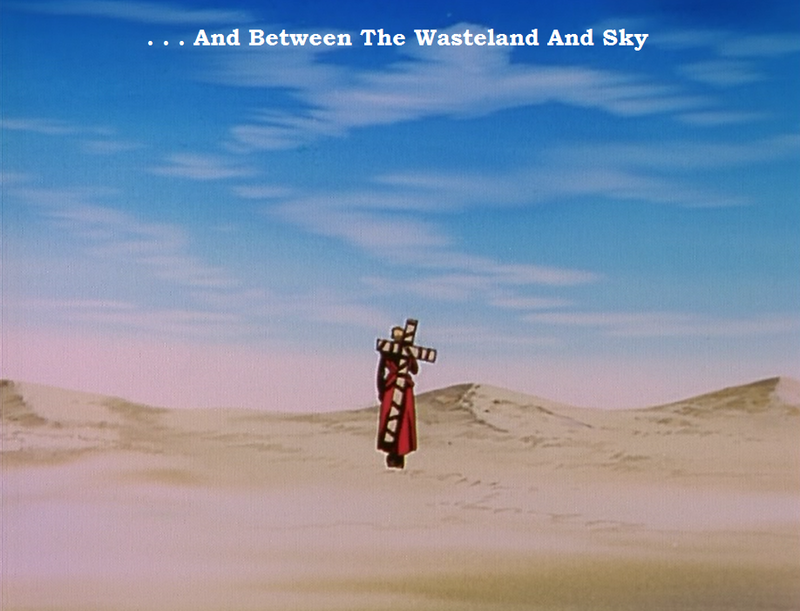 It used the same aspect ratio approach. It purposely designed itself after Mega Man 2 (only it feels more like the inferior 4 through 6) just as 9 did. It was "Mega Man 9.5", basically everything 9 was accused of doing was actually done by Mega Man 10. And by the time it came out, 10 had already missed the zeitgeist started by 9, which hurt it further. The level design was uniformly weaker and less thought out than 9. The boss weapons were terrible and unoriginal. The music is not even close to the excellence of 9, with only a handful of catchy themes sticking out. Nothing new was added except what originally killed the series to begin with: bells and whistles. The uniqueness of 9 purposefully going back to the style of 2 and building from the ground up is undercut by doing it again here where it has no reason to. And that's Mega Man 10's legacy. Copying Mega Man 9 and undercutting all its innovations in the process, thereby ruining two games in the process. What 10 should have been is what Mega Man 11 is now-- a brand new entry with overblown graphics, fresh ideas, and an original focus. After 9 brought the spotlight back on the series was the time to go all out with new ideas. It would have given the series the shot in the arm it needed before sinking into the abyss for nearly another decade thanks to 10's disappointment and the disaster surrounding Keiji Inafune leaving the company. So what gamers get now from playing the series is 6 NES entries of deteriorating quality after the third one, an underrated seventh game, an overblown eighth relic from an age that hated its genre, and two games that went back to basics for easy cash. Playing them back to back is confusing, especially if you pay no attention to the time gap in between the entries. But that undersells what Mega Man 9 actually did. It was a huge hit. It was talked about on message boards as gamers fought to see who could see the end first. It caused a sequel to be greenlit really quickly after a decade of hibernation. It was designed, and plays, masterfully for those who knew what the series was made for. Mega Man 9 is an excellent game. It is also an important one. And I think it deserves to be known for what it is. Mega Man 9 is one of the best. Don't let revisionism fool you. Few games get as good as this one. I'm also creating entertainment of my own! Check out my novel, Grey Cat Blues, if you haven't. Action, adventure, and romance, on a distant planet. What more could you ask for?